Product prices and availability are accurate as of 2019-04-22 12:41:41 UTC and are subject to change. Any price and availability information displayed on http://www.amazon.com/ at the time of purchase will apply to the purchase of this product. Your newly walking baby wants to run, run, run a little too far for your taste! Your active and oh-so-curious toddler wants to step away, and you want him to stay super close. Your 4-year-old sweetie wants to test her boundaries and you want to let her, but you¡¯re scared. What if she slips into the crowd? . . or worse? We all want to nurture our big little-kid¡¯s independence but still protect them. 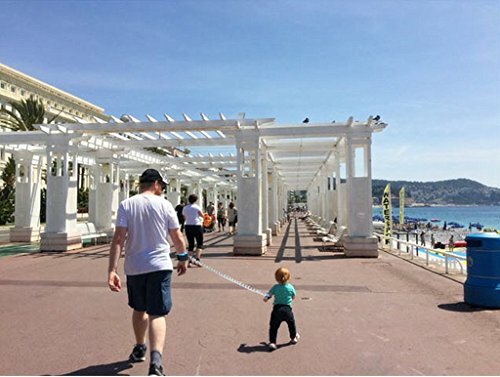 Designed for children aged 1 to 10 years, this ¡°anti lost¡± wrist strap leash is a great traveling harness for keeping your little one from straying in crowded or dangerous places like shopping malls and busy streets. 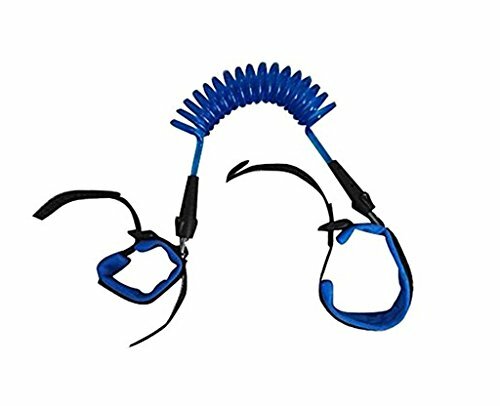 This item comes as one piece ¨C an expandable, plastic, coiled cord holds a wrist band on each side of it, one worn by the adult and one worn by the child. The wristbands are adjustable. 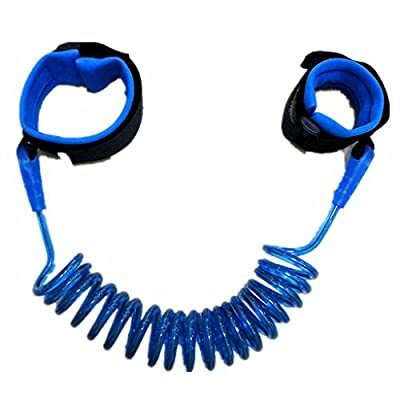 The cable can extend up to (1.5 meters) and is linked to the wrist bands with metal connectors that can rotate 360 degrees for ease of movement. Once closed around the wrist and closed with durable Velcro, the soft bands are very secure, making it difficult for infants, toddlers and young children to unfasten, but quick and easy for adults to take on and off. The gentle material will not irritate you or your child¡¯s skin.